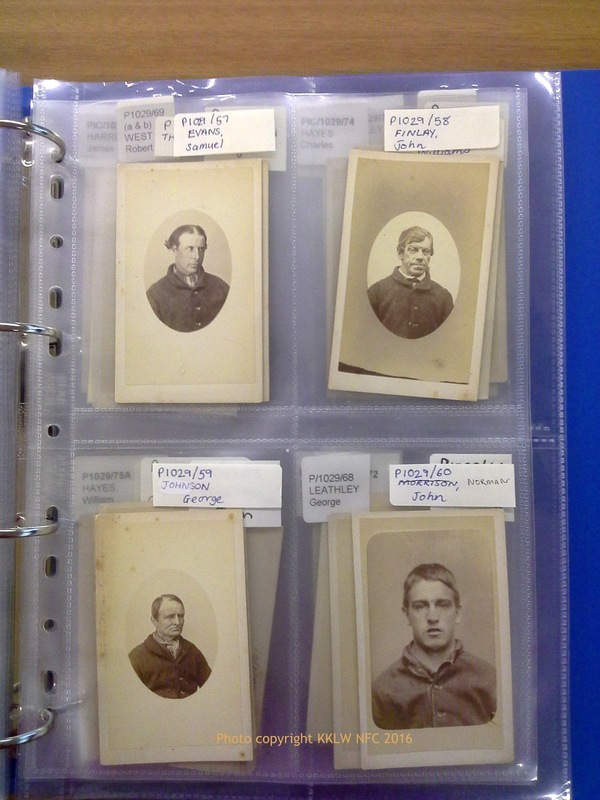 This collection of police mugshots – originally taken at the Hobart Gaol, Campbell St. Hobart and at the Mayor’s Court, Municipal Police Office, Hobart Town Hall, by government contractor Thomas J. Nevin from 1872-1886 – was donated from government estrays in 1964. 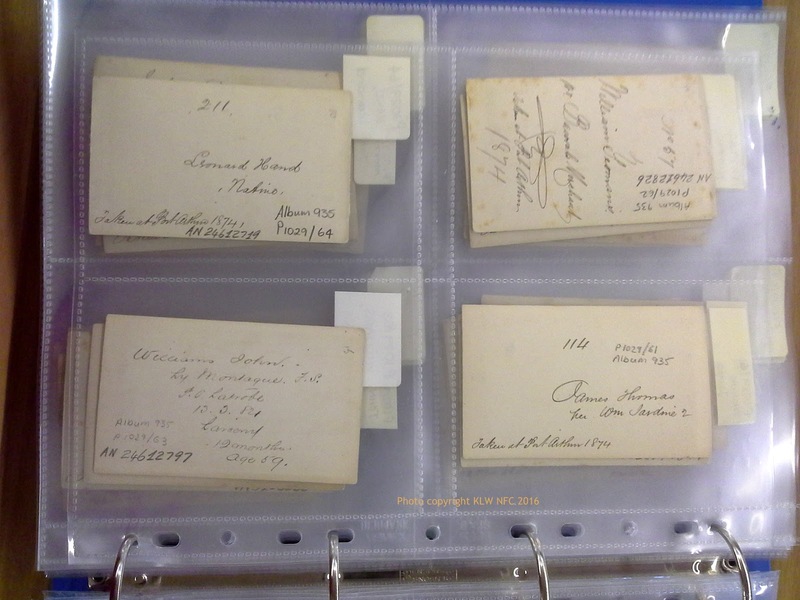 Full records with T. J. Nevin’s attribution are held at the NLA, Sprod Papers NLA MS 2320. 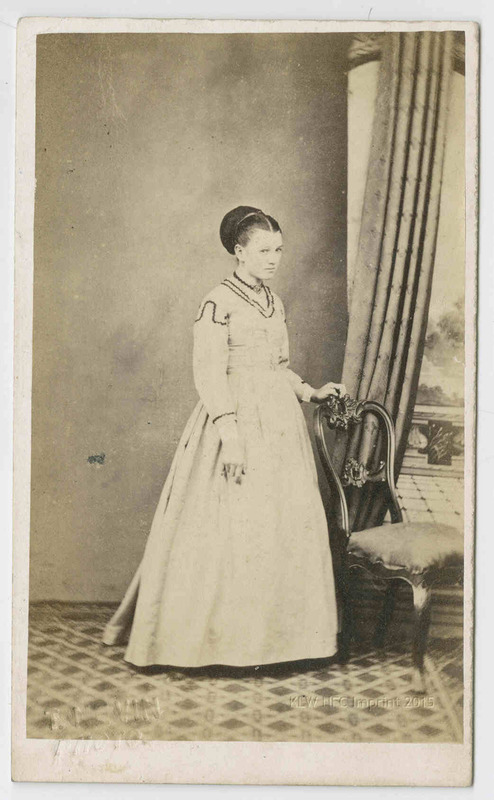 The National Library of Australia has recently updated its digital software, yet the versos of these photographs, which can provide researchers with valuable information. 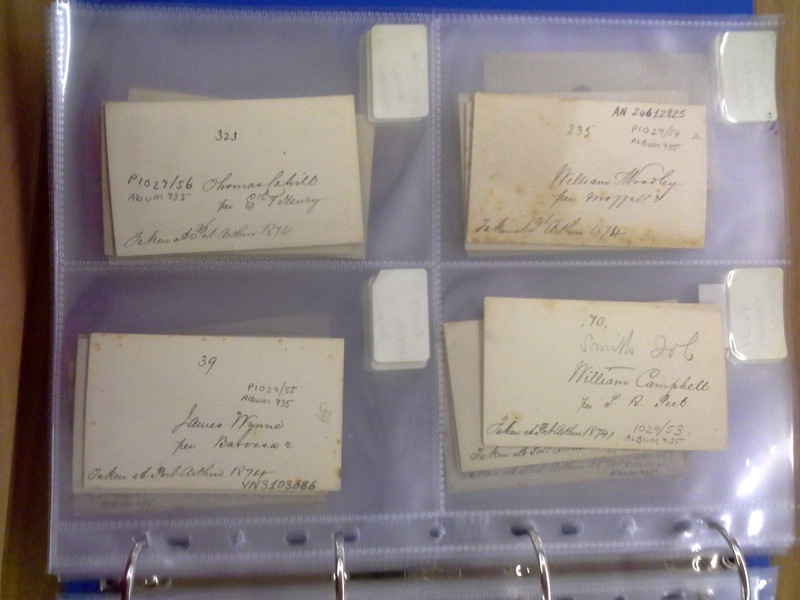 have not been digitised. 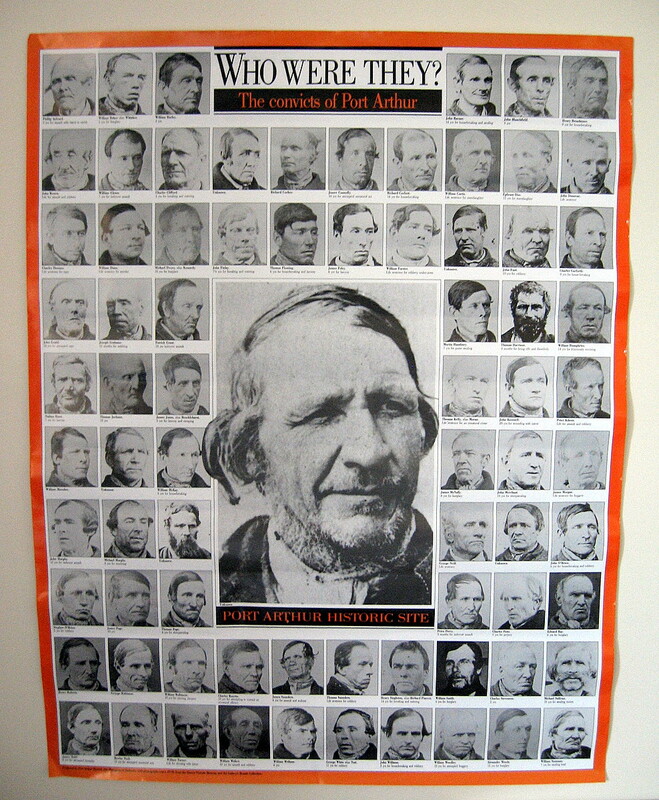 The NLA believes that the absence of a photographer’s studio stamp on the versos – of police mugshots no less – is reason enough to engage in puerile political games of re-attribution, despite expert curatorial validation, and Nevin’s government contract stamp on several of these mugshots held in other national collections. The versos of the majority of these photographs were incorrectly transcribed in 1915-1916 with the wording “Taken at Port Arthur 1874” to promote penal heritage tourism to Tasmania when they were sent as exhibits to the Royal Hotel, Sydney, in conjunction with an exhibition of convictaria on the fake transport ship, the Success, which toured Hobart, Brisbane, Melbourne and Adelaide before returning to Sydney. 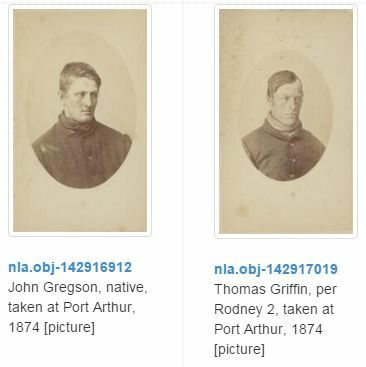 The majority of the 85 mugshots in the NLA collection consists of copies either duplicated from the originals – or missing from – the collections held at the Tasmanian Museum and Art Gallery, Hobart and the Queen Victoria Museum and Art Gallery, Launceston. 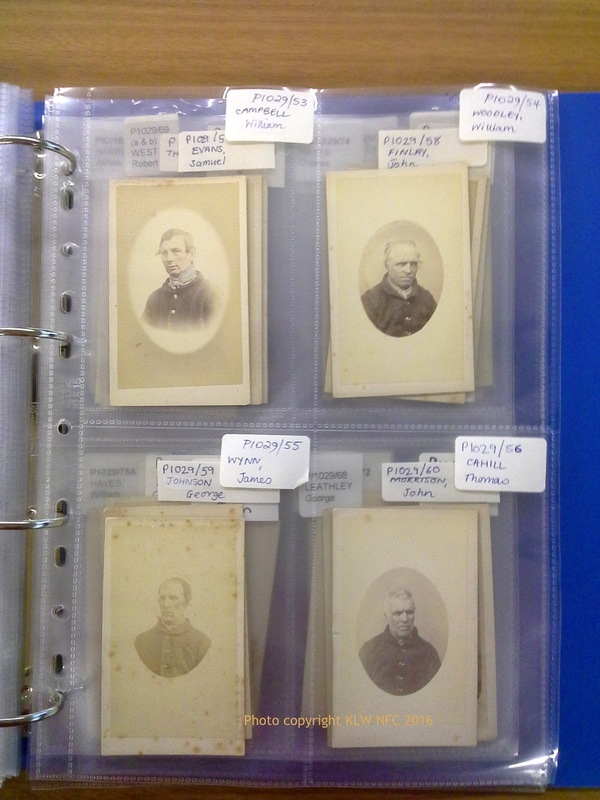 Webshot 2007: Photographer Nevin, Thomas J.
Offline and viewed in situ at the National Library of Australia in the plastic folder sleeves and pockets (see examples below) in which they are housed, these very old 1870s and 1880s photographs of Tasmanian prisoners lose a good deal of their visual appeal which they otherwise seem to project when enlarged and digitised for online viewing. 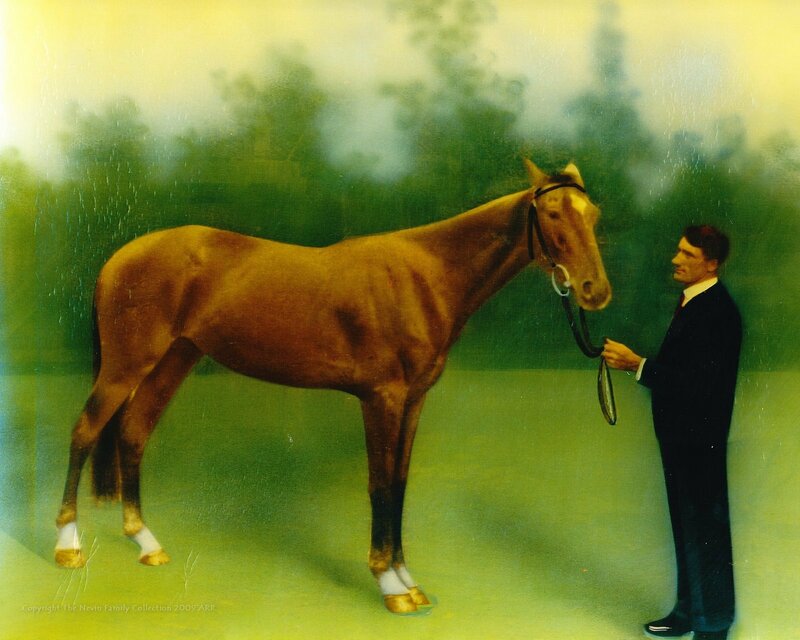 The staff at the National Library of Australia readily protest that these photographs are prized as unique artefacts when confronted with criticism about the way they are treating their collection. Yet the plastic pockets – which are not the celluloid pockets used for other photographs in their collections – are contributing to the decay of these photographs and is clear evidence that the NLA staff prefer to dissemble, at times even respond with aggression when called out. 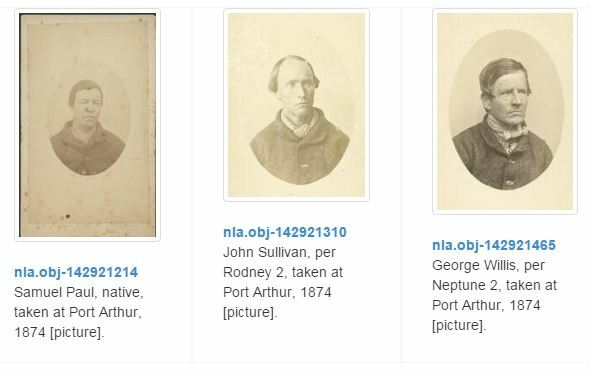 Likewise, the manner in which the NLA staff since 2007 have compromised government contractor Thomas J. Nevin’s historically correct attribution as the commercial photographer of these mugshots with baseless tourist propaganda from Port Arthur employees playing the events-of-1996 sympathy card, is inflicting damage of another kind to the nation’s cultural memory which these photographs inform. They should at the very least receive mature and professional treatment, but Australia’s cultural heritage, it seems in this instance, is not necessarily immune from abuse by the very public institution entrusted to preserve it. 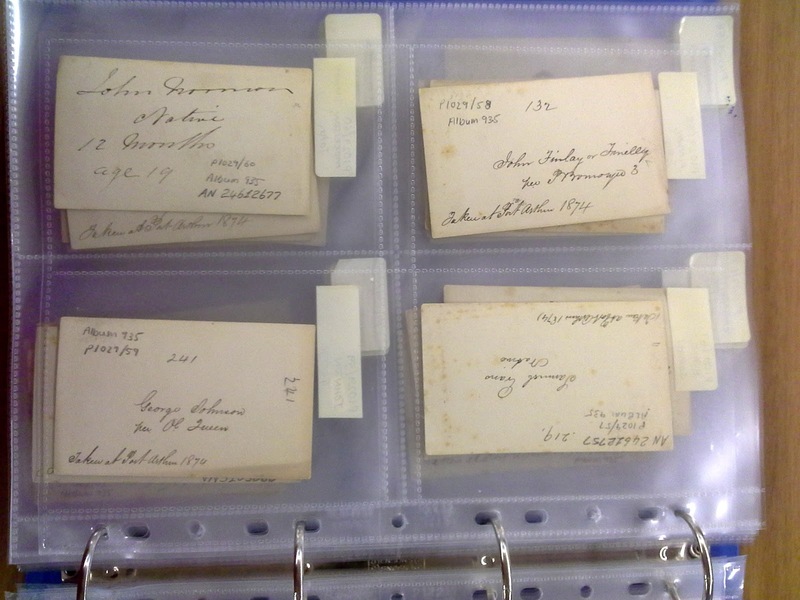 The inscriptions on the verso of these cartes-de-visite duplicates – “Taken at Port Arthur, 1874” – together with the convict’s name and ship on which he was transported have nothing to do with the “belief” published by Chris Long in 1995 (TMAG) that A. H. Boyd, Commandant at Port Arthur until December 1873, was the photographer of these Tasmanian prisoners. 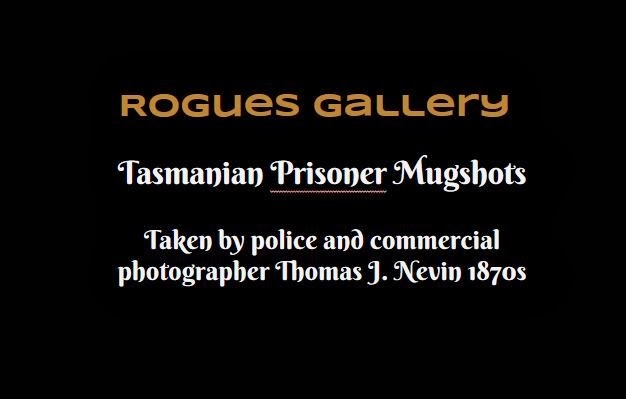 A. H. Boyd was not a photographer by any definition of the term, and had nothing to do with the production of these mugshots which were produced by government contractor T. J. Nevin at the Hobart Gaol, Campbell St. Hobart. 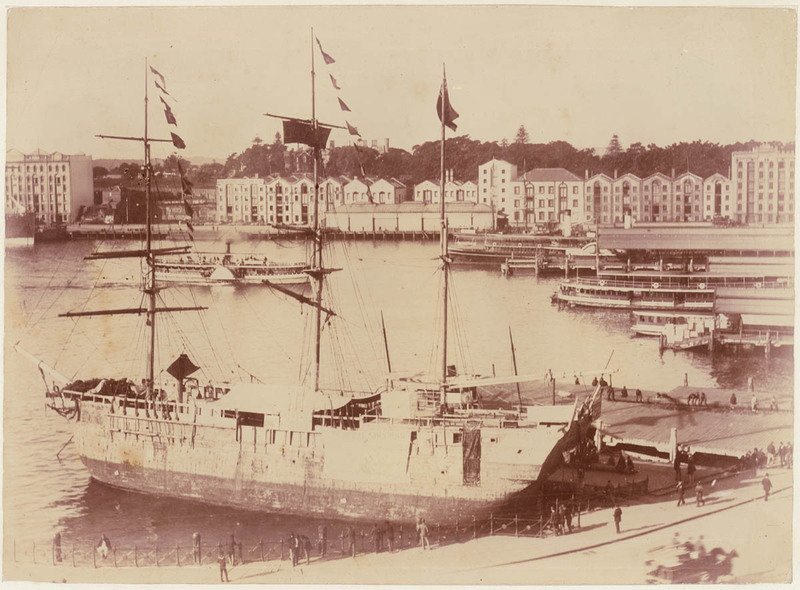 The inscriptions on verso and recto about Port Arthur, and the date “1874” were fabrications by archivists and/or copyists such as Edward Searle and John Watt Beattie who sold them to tourists in his “Port Arthur Museum” in Hobart, and date from the 1890s-1920s. 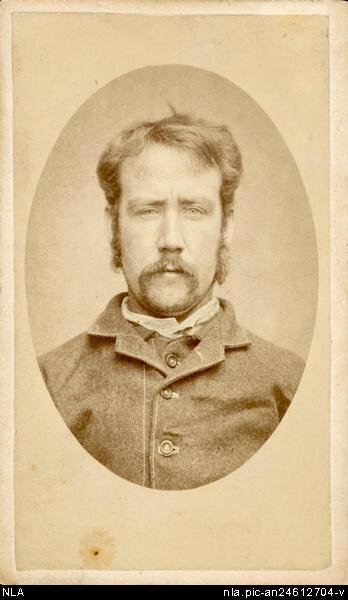 His reproductions and montages of these 1870s mugshots of Tasmanian prisoners – touted as “Port Arthur convicts”- were displayed on the fake convict ship, the Success, during visits to Hobart, Brisbane, Adelaide, and Sydney. 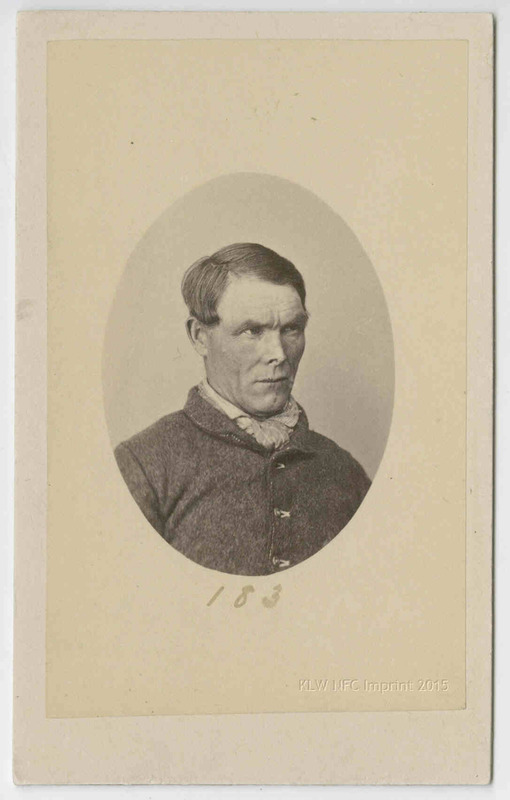 A selection of Tasmanian “Convict Portraits” from the National Library of Australia, Canberra. 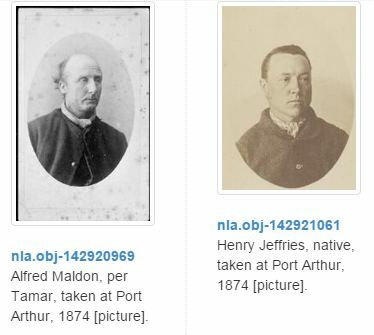 Please note: Below each image held at the National Library of Australia is their catalogue batch edit which gives the false impression that all these “convict portraits” were taken because these men were transported convicts per se (i.e before cessation in 1853), and that they might have been photographed as a one-off amateur portfolio by a prison official at the Port Arthur prison in 1874, which they were not. 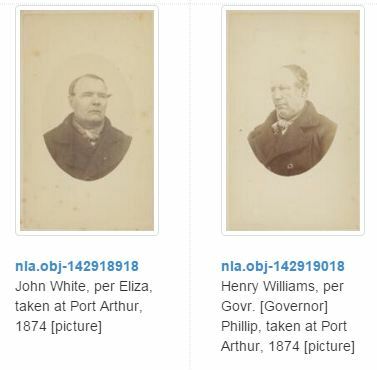 Any reference to the Port Arthur prison official A. H. Boyd on the NLA catalogue records is an error, a PARASITIC ATTRIBUTION with no basis in fact. 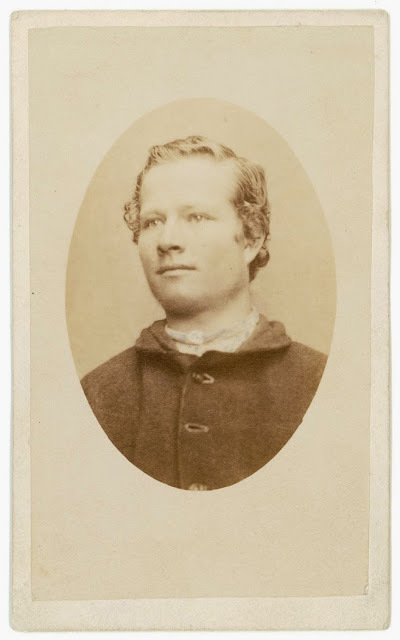 The men in these images were photographed in the 1870s-1880s because they were repeatedly sentenced as habitual offenders whose mugshots were taken on arrest, trial, arraignment, incarceration and/or discharge by police and prisons photographer T. J. Nevin at the Supreme Court and adjoining Hobart Gaol with his brother Constable John Nevin, and at the Municipal Police Office, Hobart Town Hall when appearing at The Mayor’s Court. 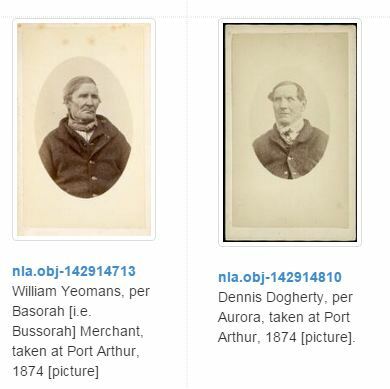 The Nevin brothers photographed more than 2000 prisoners, the bulk now lost or destroyed. 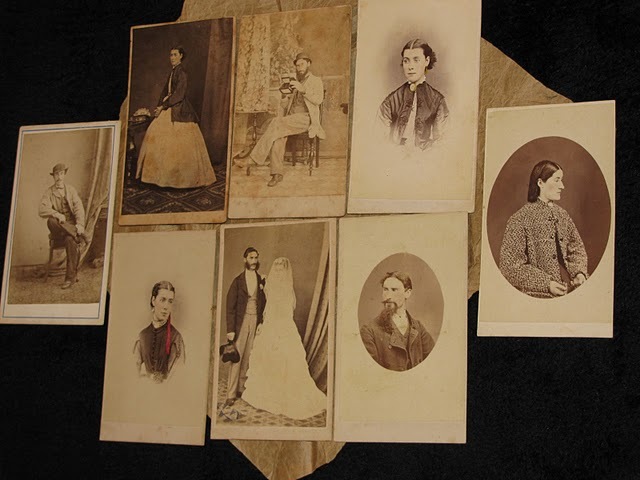 These extant mugshots are random estrays salvaged or selected on the basis of notoriety in the early 1900s from the Supreme Court trial registers, the Habitual Criminals Registers, warrant forms, and police gazettes records of the 1870s-80s. The earliest date from 1871. 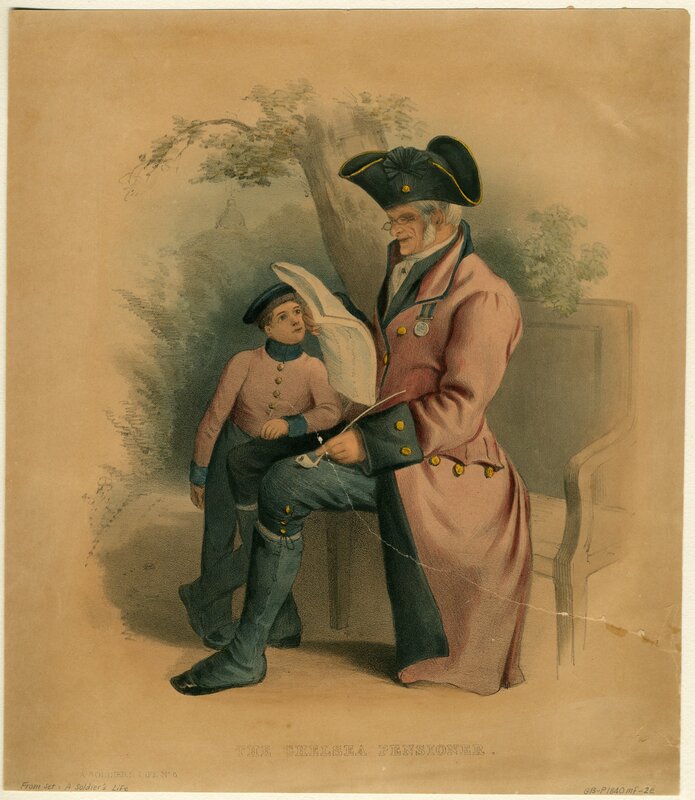 The police records are sourced from the weekly police gazettes which were called (until 1884) Tasmania Reports of Crime Information for Police 1871-1885. 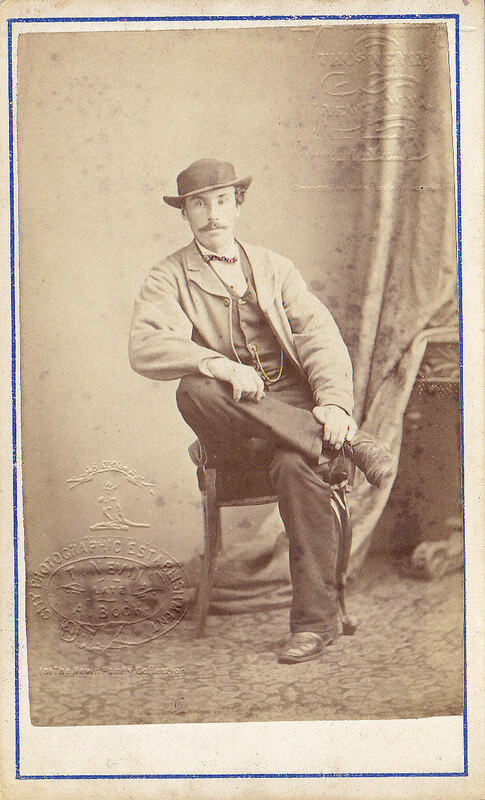 J. Barnard, Gov’t Printer. 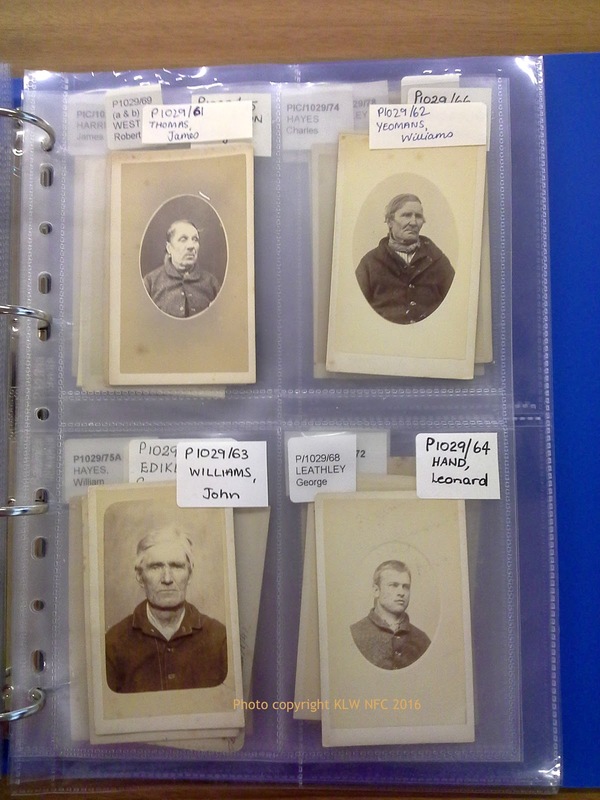 Click on each name to view the prisoner’s 1870s police records and check the Archive for many more.